One of my favourite types of architecture without a doubt is Traditionally Cultured and European natured. 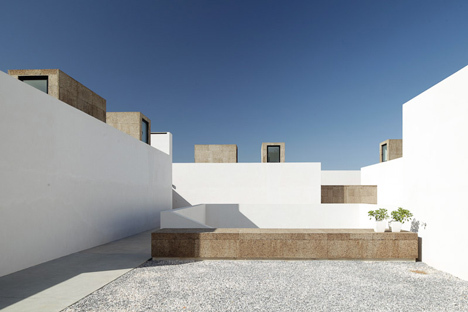 This heart-stopper by Vora Arquitectura combines these exquisitely. 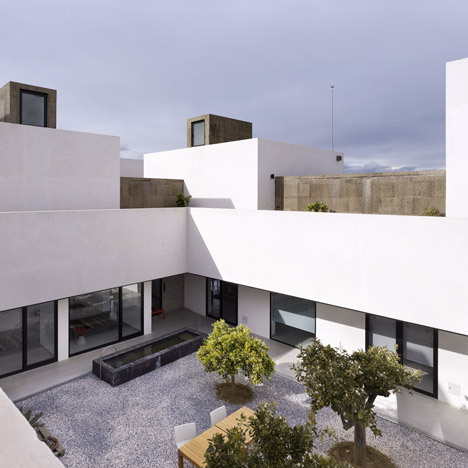 This Portuguese guesthouse by Jordi Fornells and Rolf Heinemann really stands out to me with its modern architecture and interiors, you can clearly see why anyone wouldn’t object to spending a few nights in this relaxed and spacious atmosphere. 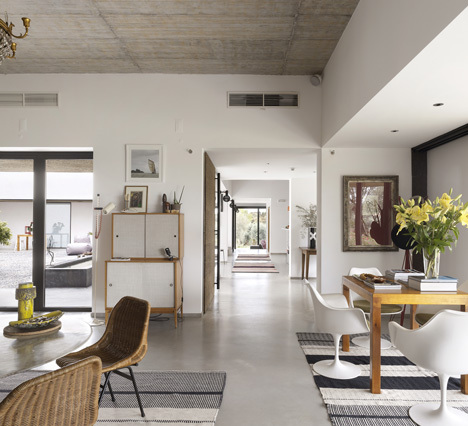 With the many communal living rooms looking out on to the courtyard, and the dining room which has a balcony looking out on the fields and olive trees, it’s hard not to see the beauty and desire in this type of setting. With only five guest suites, you can dose yourself with your very own private terrace; what is there not to like? 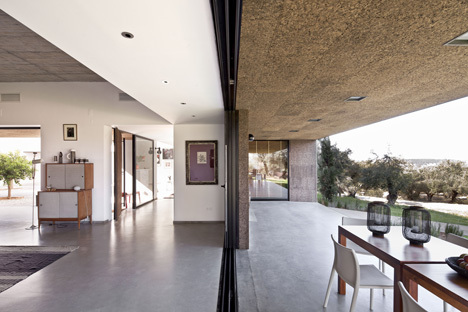 The inside walls and ceilings are made from concrete, whilst cork lines a selection of exterior walls and surfaces. The majority of the furnishings are a mixture of designer pieces and traditional local textiles. 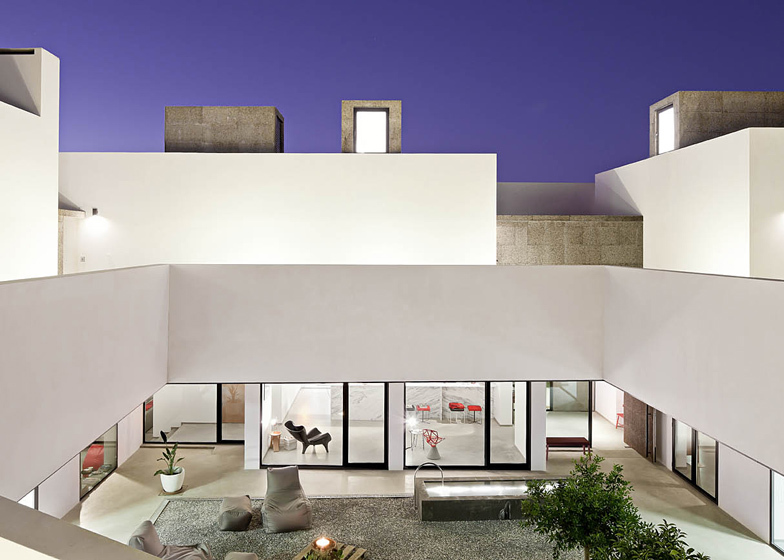 With the small details such as sliding doors and intriguing wall panels, this guest house really is the definition of what sort of traditional interior and exterior architecture Portugal has to offer. In my opinion, this is completely and utterly perfect, whether it’s for a peaceful honeymoon or just to get away from the city, there’s everything to like about this place. The intricate attention to detail speaks for itself. What are your thoughts on this guest house? This entry was posted in Architecture, Hotels and tagged Architecture, Art, Design, Dezeen.com, Interior Architecture, Interior Design, Interiors, Opinions. The Air Tattoo; A New Form of Self-Expression?